Why Garrison Keillor’s fall from grace feels particularly queasy-making. On Wednesday, Minnesota Public Radio announced it was severing all ties to Garrison Keillor, citing allegations of “inappropriate behavior” toward a co-worker when he was producing the show. The station will stop distributing old episodes of “A Prairie Home Companion” featuring Keillor, who retired from hosting duties a year ago. And it will rename his show, which is now fronted by bluegrass musician Chris Thile. American Public Media, MPR’s parent organization, will end distribution and broadcast of “The Writer’s Almanac,” a short daily spot featuring poetry and literary tidbits. Within a day, Keillor’s decades-long radio career has been effectively scrubbed from the public square. The details of what prompted the dramatic announcement remain murky, and Keillor’s own statements have only added to the confusion. “I put my hand on a woman’s bare back,” he told the Minneapolis Star Tribune. “I meant to pat her back after she told me about her unhappiness and her shirt was open and my hand went up it about six inches. She recoiled. I apologized. I sent her an email of apology later and she replied that she had forgiven me and not to think about it. We were friends. We continued to be friendly right up until her lawyer called.” In a later statement, Keillor referred to “the two employees who made the allegations.” More information is forthcoming, presumably. Keillor’s cultural brand makes these allegations particularly painful for many to reckon with (including lifelong Keillor fans like me). He started his career as a writer, and then launched the two-hour public radio program “A Prairie Home Companion” in the mid-1970s. He devised it as an old-fashioned variety show, featuring live music, comedic skits with a roster of talented voice actors, and fake ads for ketchup and biscuits and English degrees. His tastes ran dad-ish; he liked poetry and jokes and parody songs. The culmination of each show, taped in front of a live audience, was monologue in the form of dispatches from a fictional town in Minnesota. 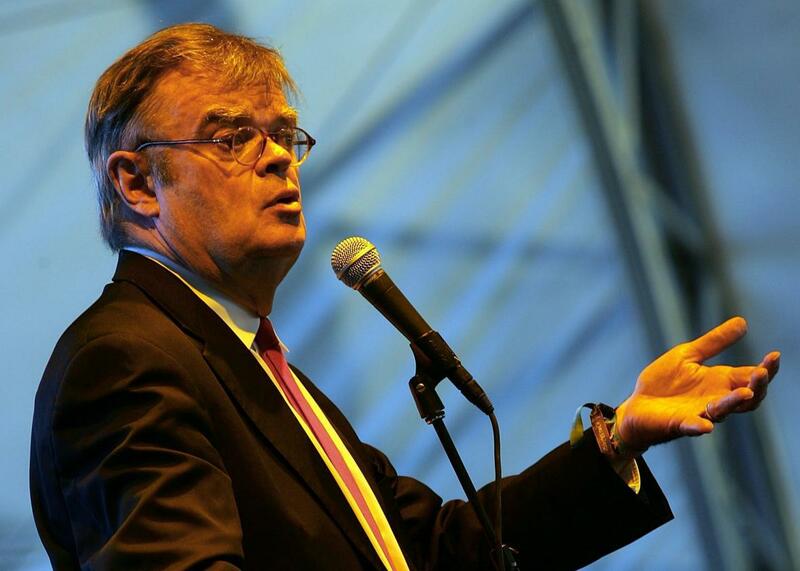 Keillor occupied Lake Wobegon for decades on the radio and in a series of popular books. Over the years, he embroidered multiple generations of families, local traditions, and small businesses. Children were born, grew up, and left town; the Lutheran church was on its third pastor by the time Keillor left the radio stage. “It was a quiet week in Lake Wobegon,” Keillor would announce each week, pausing as the audience burst into applause. Lake Wobegon was a feat of world-building, as impressively textured as any science-fiction series. Now critics are combing through Keillor’s voluminous archives for signs of casual misogyny. They surely won’t be hard to find. His 1997 novel Wobegon Boy includes a scene in which the hero, a Lutheran guy who works in public radio, is unjustly accused of sexual harassment for telling an off-color joke. Just this week, when Keillor must have known trouble was looming, he published a column in the Washington Post titled “Al Franken should resign? That’s absurd.” The column has been understandably lambasted online, but in typical Keillor form, it’s actually rather hard to tell if he’s making the point he seems to be making, or gently skewering it. Keillor’s shtick was nostalgia, so I hope it’s appropriate to indulge on some on the eve of his fall from grace. He was a masterful storyteller and stylist, a booster of great musical talents, and a compelling performer, heavy breathing and all. Who knows what else he might be—we’ll surely find out. Lake Wobegon never existed, but it will still hurt to watch it burn to the ground.